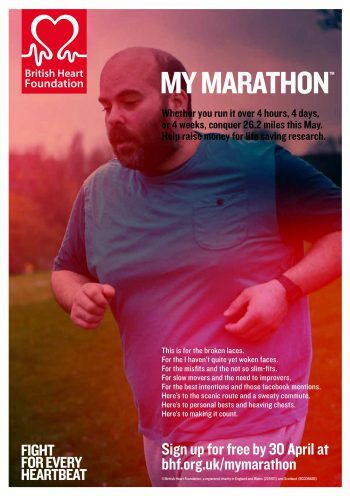 British Heart Foundation asked Killer to develop a creative campaign and microsite for their brand new virtual fundraising product: MyMarathon. 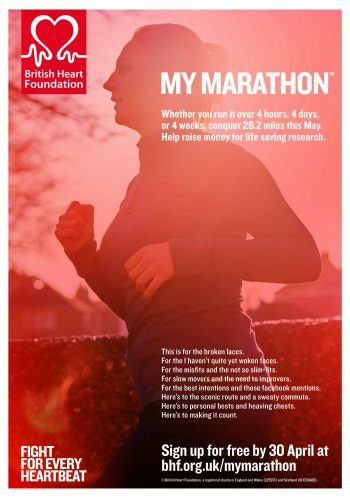 The proposition was to run a marathon during the month of May – in your own time – and get sponsored to raise money for BHF. The target audience for year one was women aged 25-45, who were novice runners. 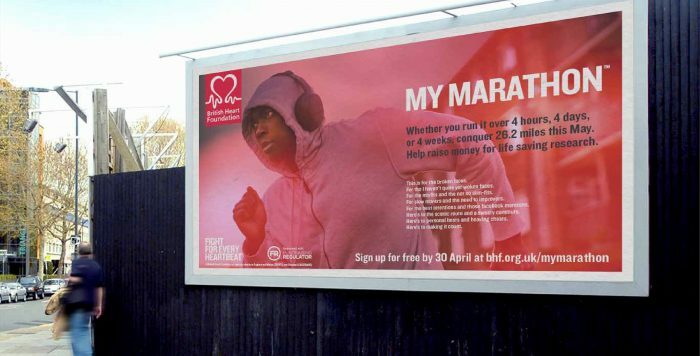 BHF wanted to create a ‘This Girl Can’ feel about the campaign, encouraging people of all shapes and sizes to be active and motivating them to set a personal challenge. Killer developed the creative concept for the campaign, acquisition ads, the microsite, plus all collateral to support the customer journey. As part of the roll out we created online films for various stages in the campaign, from acquisition through to reward and recognition. We also scripted and produced a radio ad, digital Facebook adverts as well as a range of online assets and downloads including a sponsorship form, mile tracker, certificate and posters. 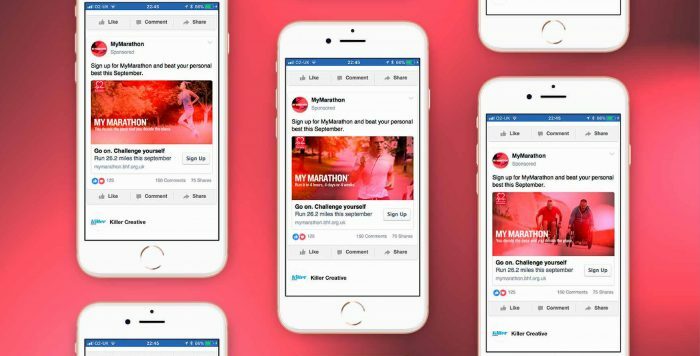 The other big part of the project was developing a comprehensive microsite where participants could sign up to take part in MyMarathon and fundraise. Linked to Everyday Hero API for an easy registration journey, the site included pages with resources, inspirational content and social integration. 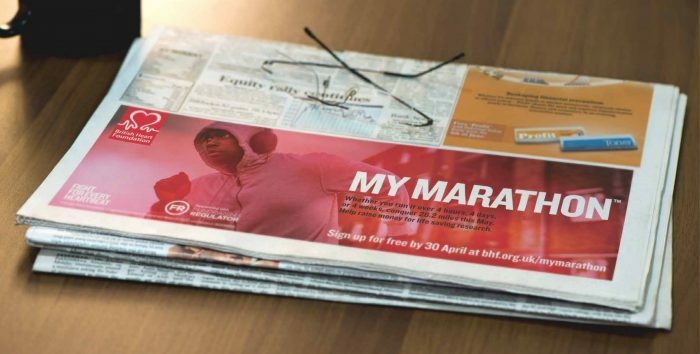 Due to the success of MyMarathon in May 2016, the campaign re-launched for September to ride off of the back of Olympic fever, with Killer leading the creative delivery of additional campaign materials. 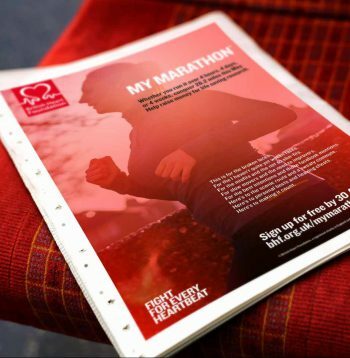 Over 31,000 sign ups and over £1 Million raised for lifesaving heart research.